The Green Rat Snake is a non-venomous reptile also known as by the scientific name Senticolis triaspis. An excellent tree climber spends much of its time on trees and shrubs and identical to other species of kingsnakes and milksnakes. It is believed that it is among the oldest species of rat snakes that migrated about 30,000,000 million years ago. The reptile has slim green colors to gray green and whitish belly. The head is long with square snout. It is common in Mexico and parts of Arizona. A normal Green Rat Snake measures between 24 to 50 inches in length. The females tend to be longer than males. The young usually appear gray cutting across gray-green with pronounced gray-brown patches. As the reptile ages, the patches fade and it turns greener. The scales are keeled and the pupils round. 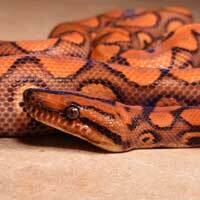 It is a powerful snake of it species that constricts its prey such as lizards, bats, birds, and small mammals. The reptile lives near streams, wooded rocky valleys, and often seen in exposed slopes along drainages. When confronted, the snake remains motionless to avoid detection. 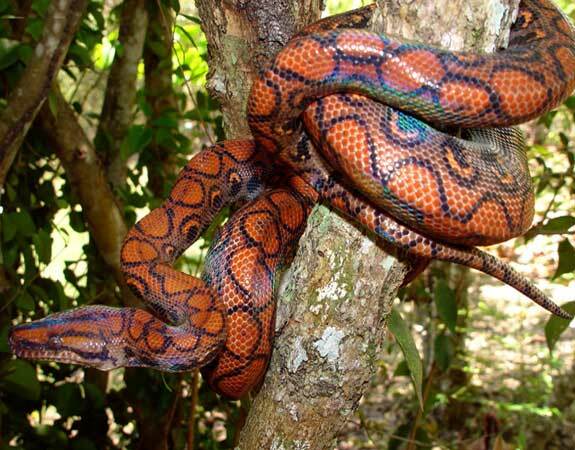 The reptile is diurnal and spends its time exploring in the bushes and branches of trees. It spends time on the ground as well and shelters under boulders, rock piles, large rocks, and crevices. It hibernates during cold season. The Green Rat Snake mates in spring and in late spring or sometime early summer, the females lay about nine eggs. It then coils around the eggs until they hatch into long gray young ones. Green Rat Snake does well in captivity because of it serene behavior and fear of confrontation.